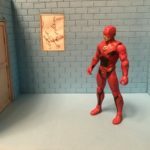 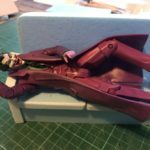 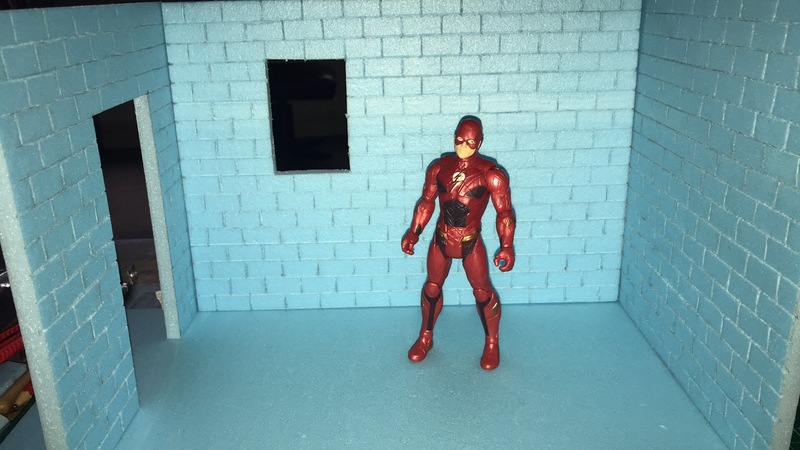 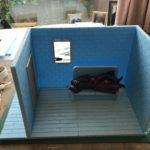 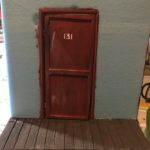 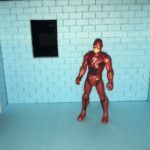 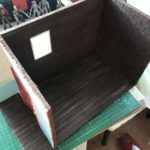 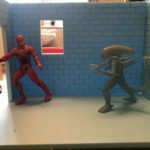 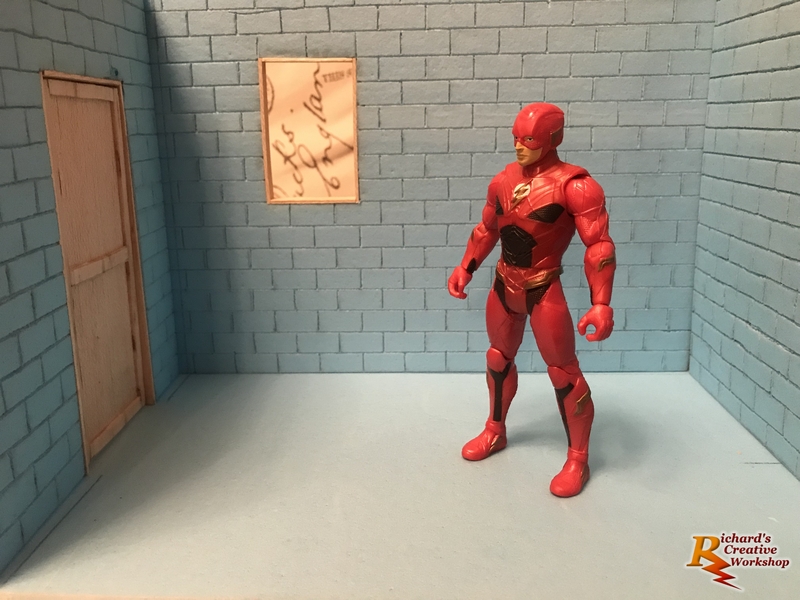 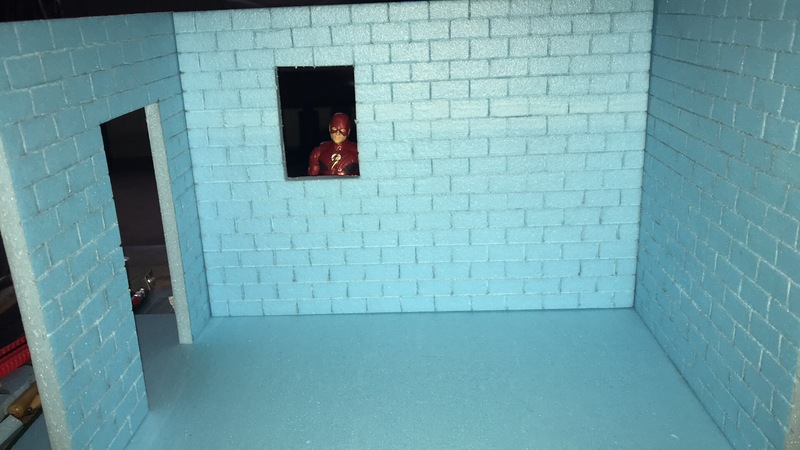 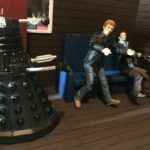 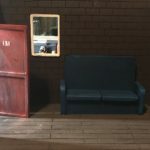 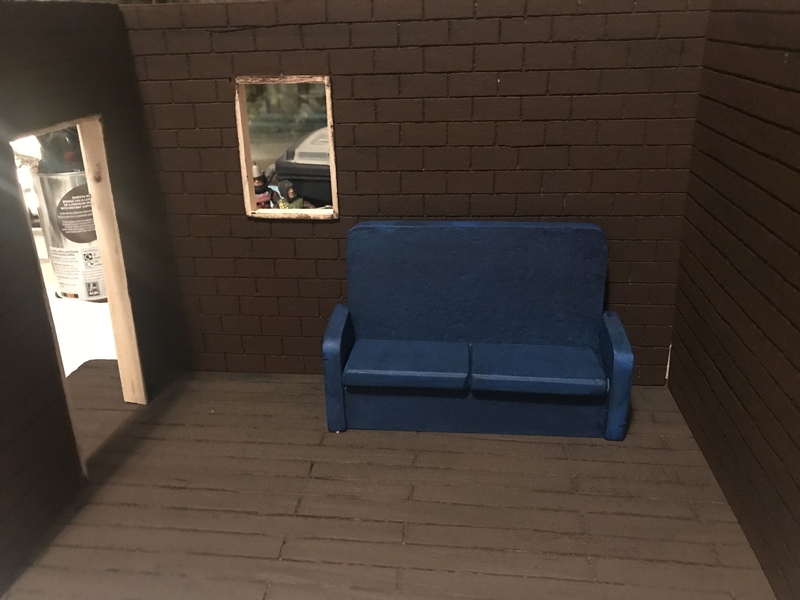 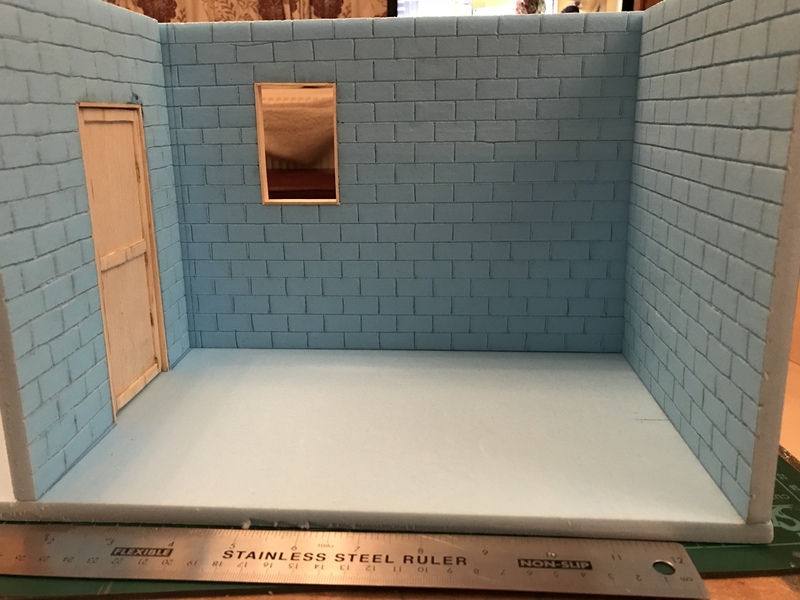 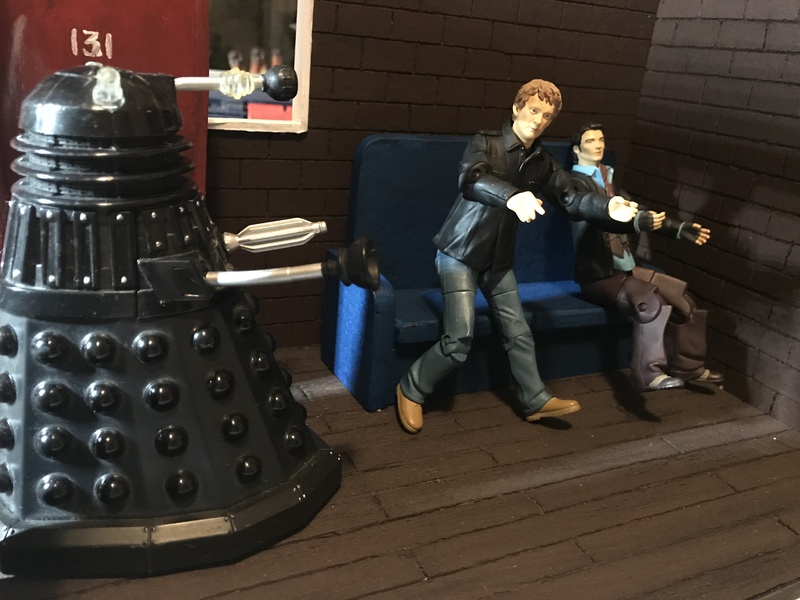 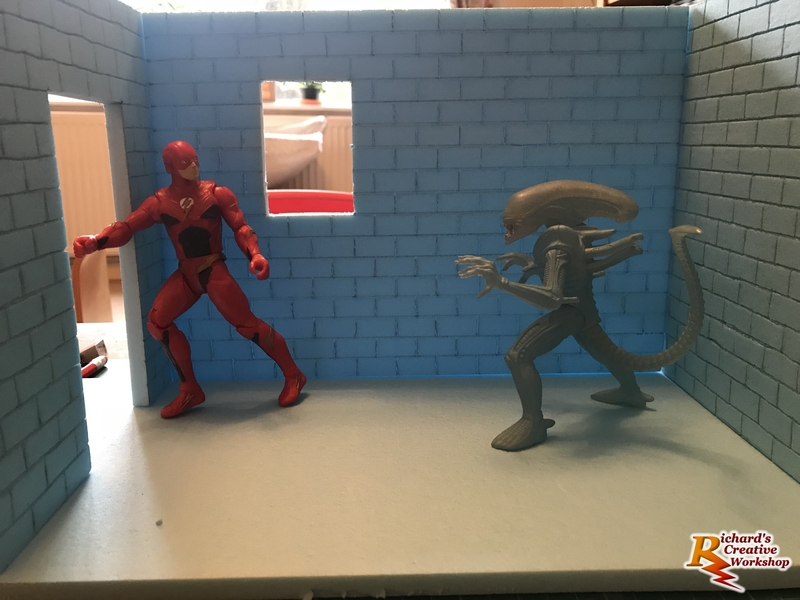 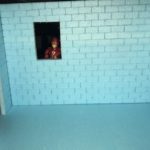 Started a new diorama for up to 6 inch figures. 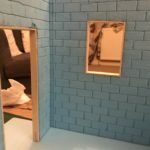 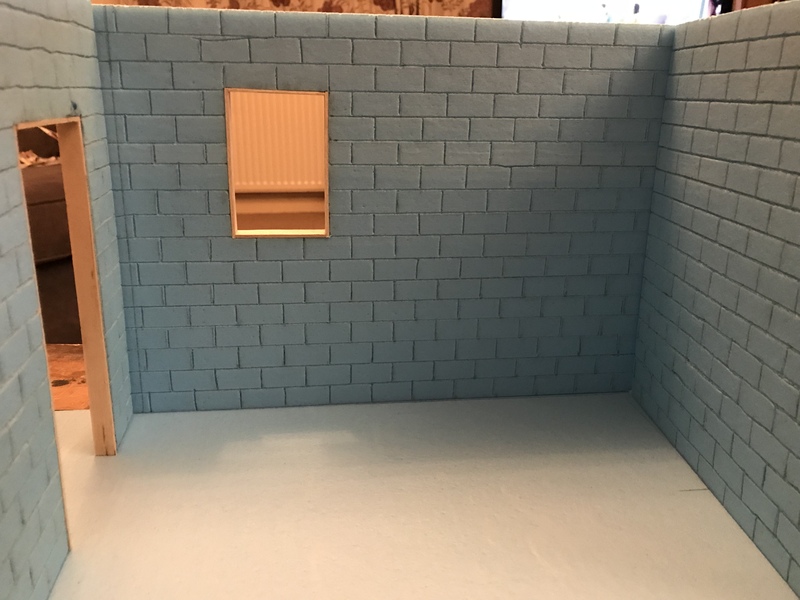 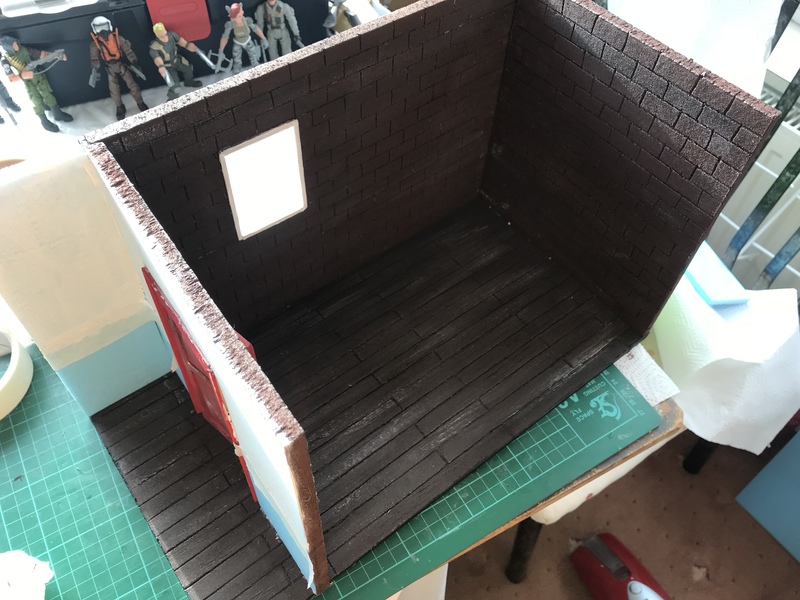 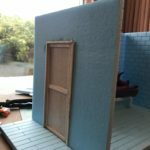 I’ve started with the usual three standard wall with door and window. 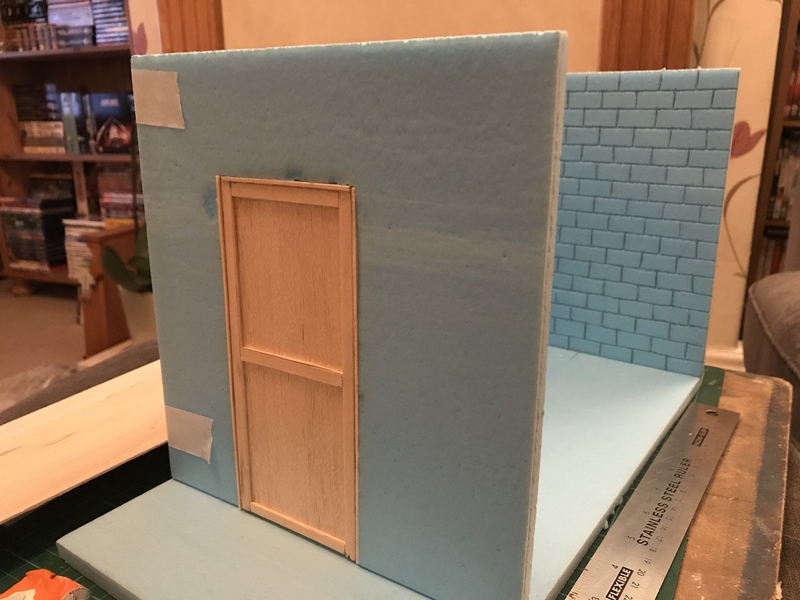 I cut out strips of bolsa wood and fitted them into the frame of the door and the window. 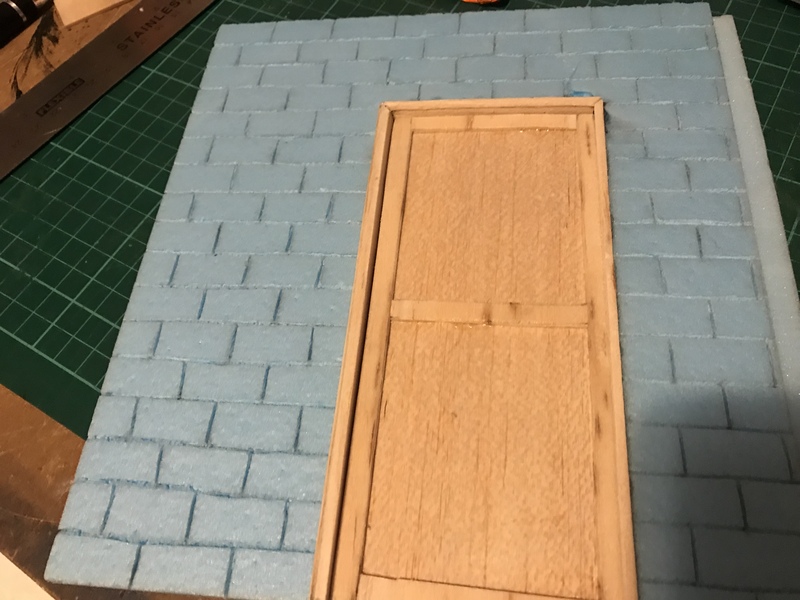 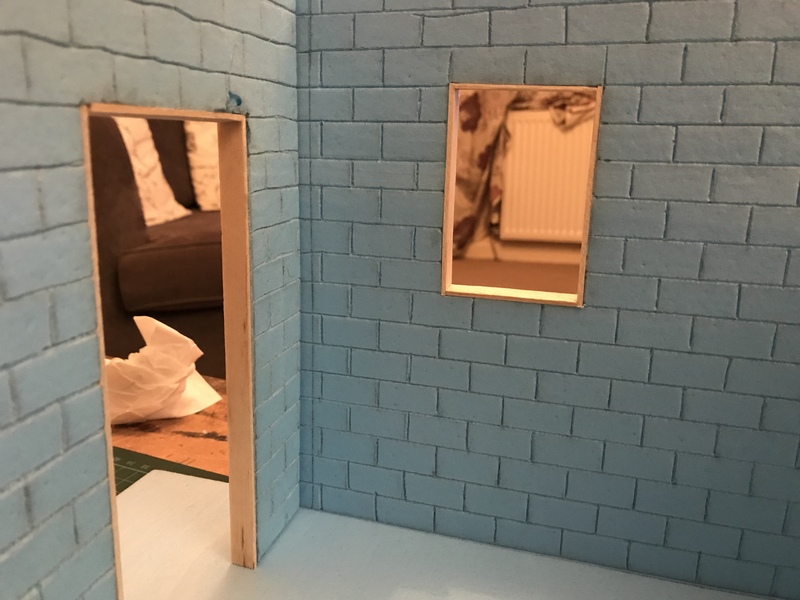 The cutting out a rectangular piece which has now become the door, adding extra strips to build up the design of the door. 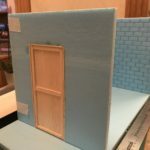 I cut notches into both side walls which will enable them to attach to the back wall more securely. 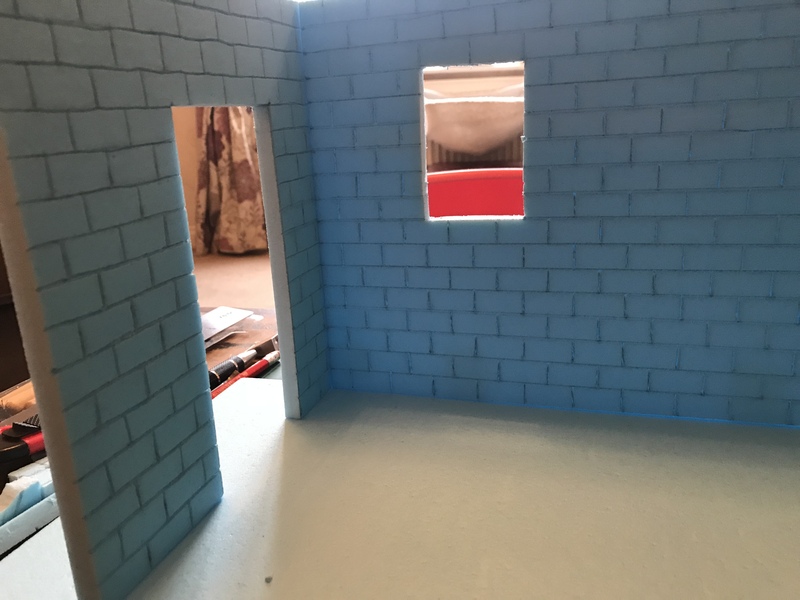 It started with building up the door and window frames. 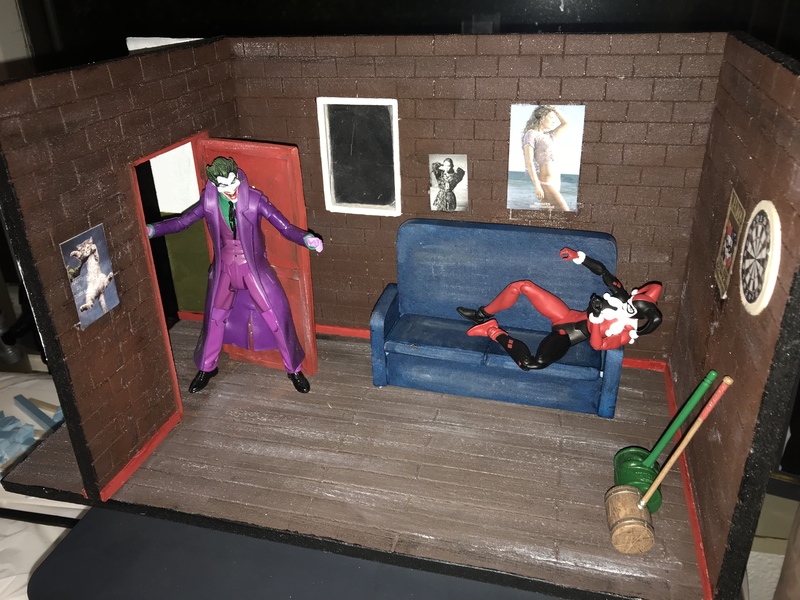 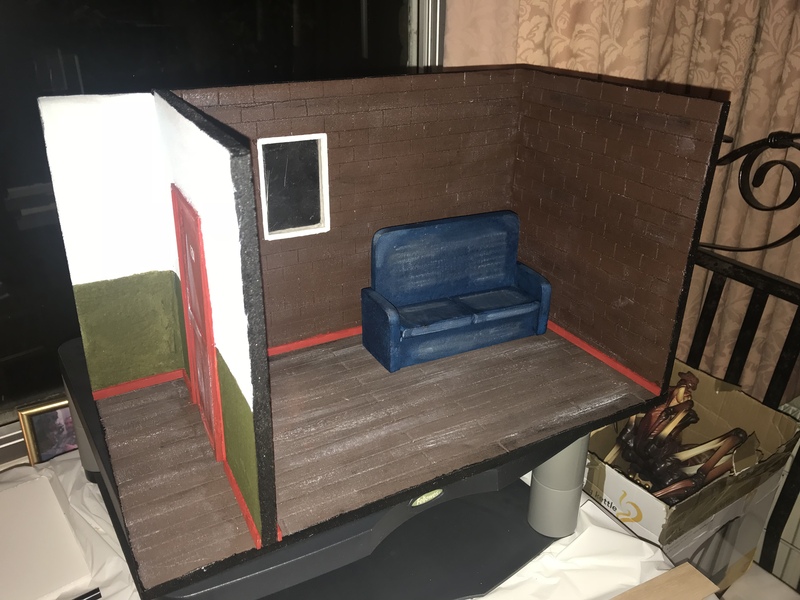 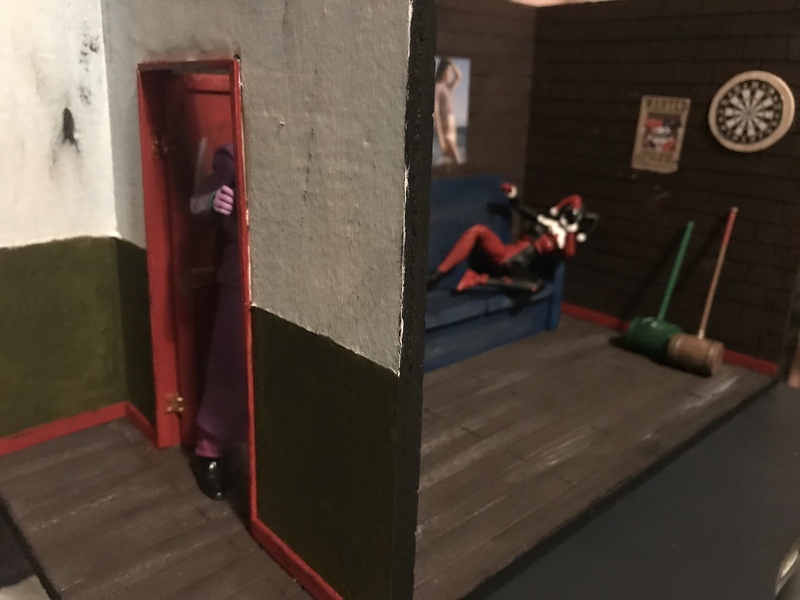 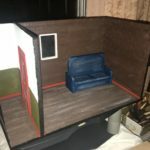 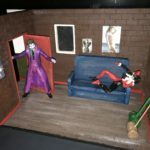 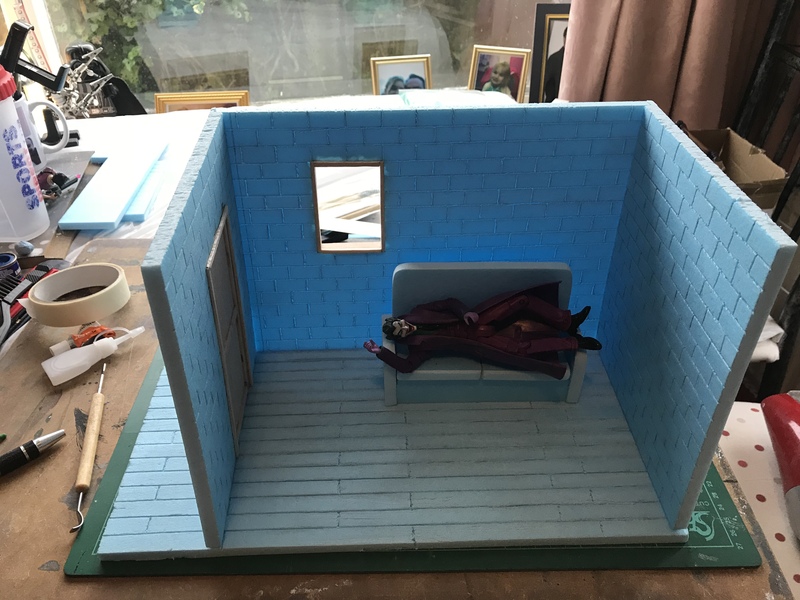 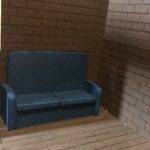 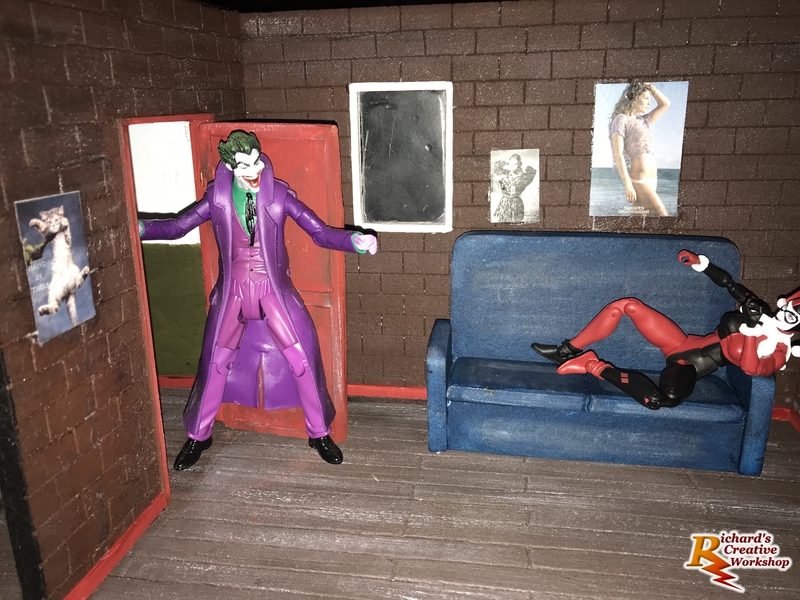 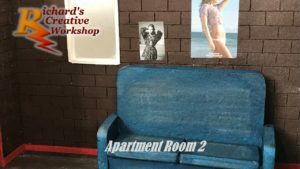 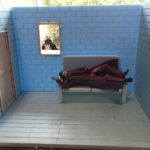 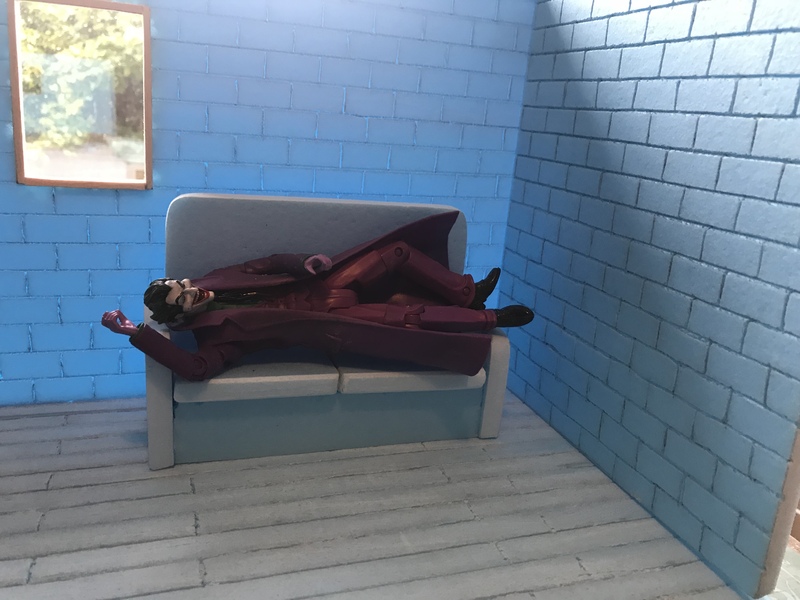 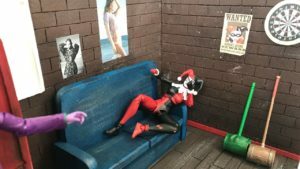 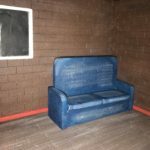 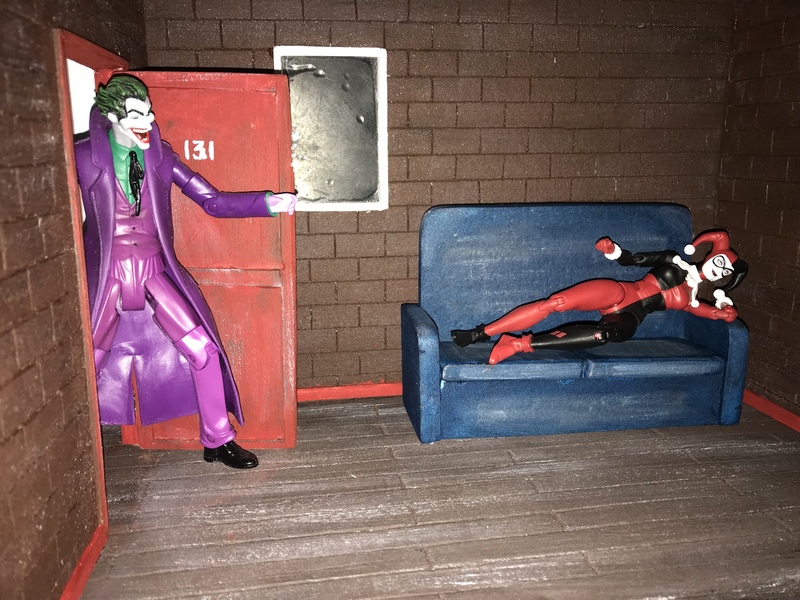 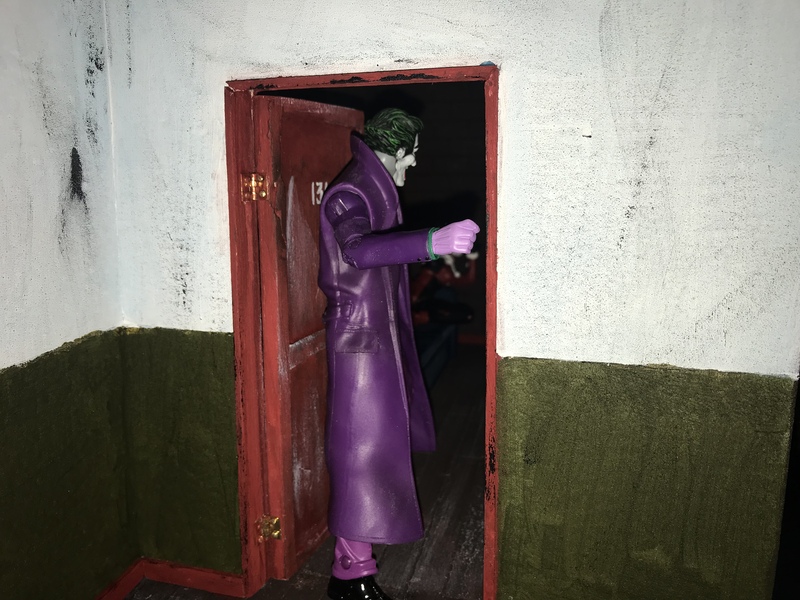 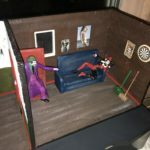 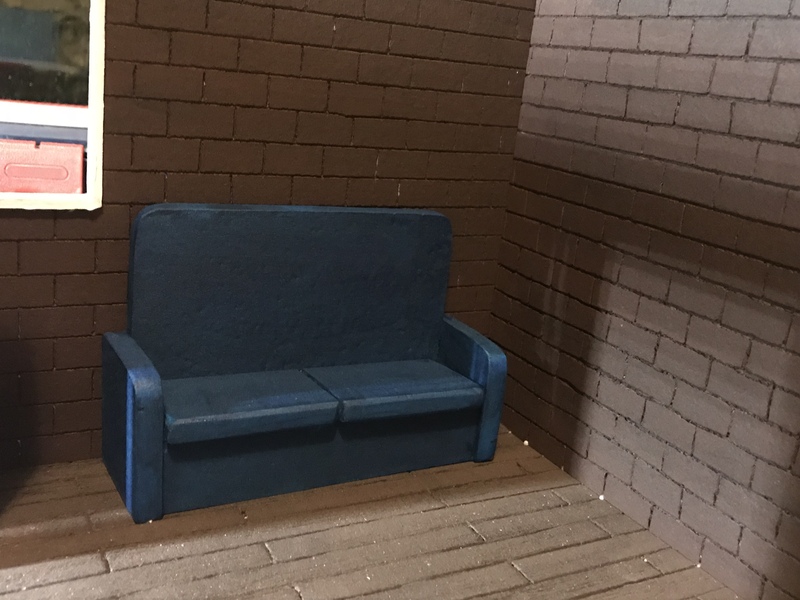 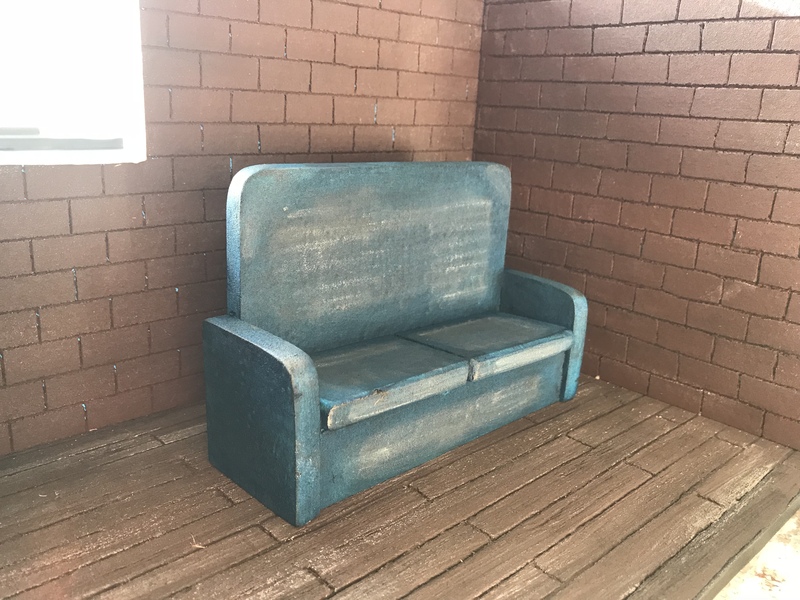 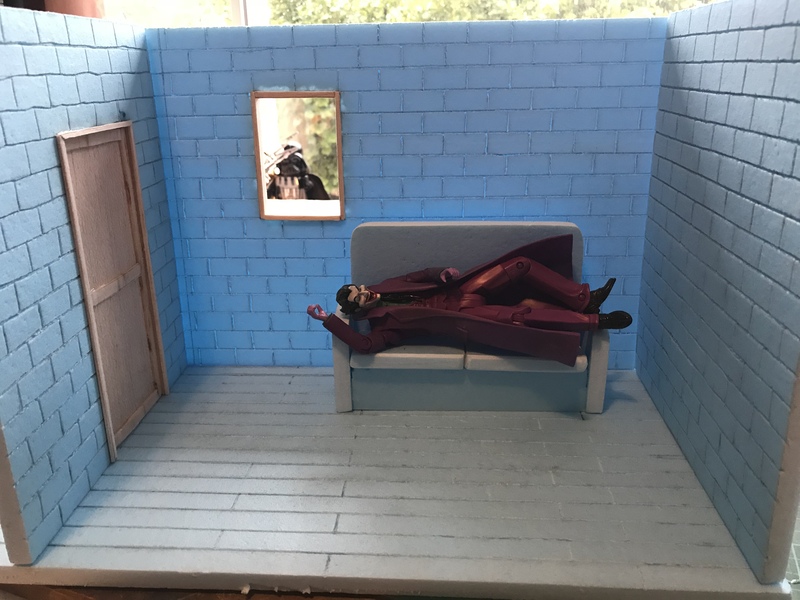 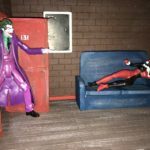 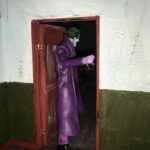 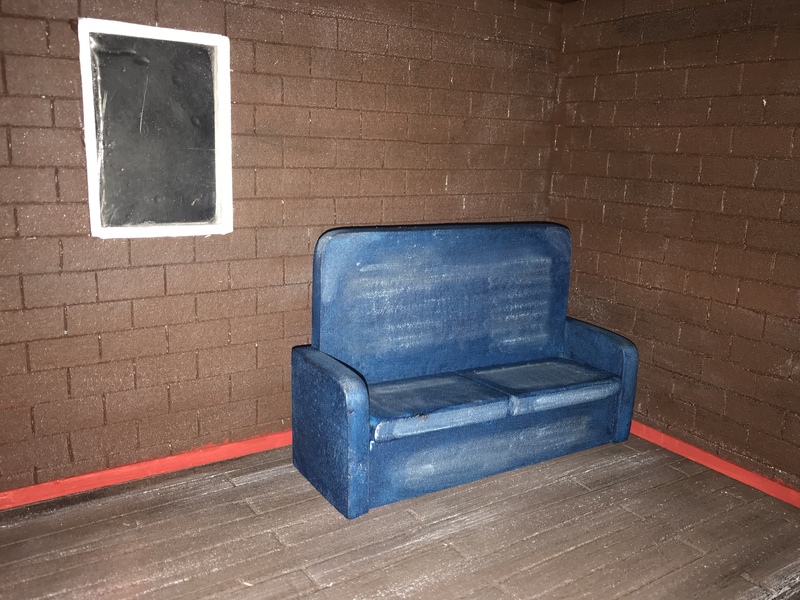 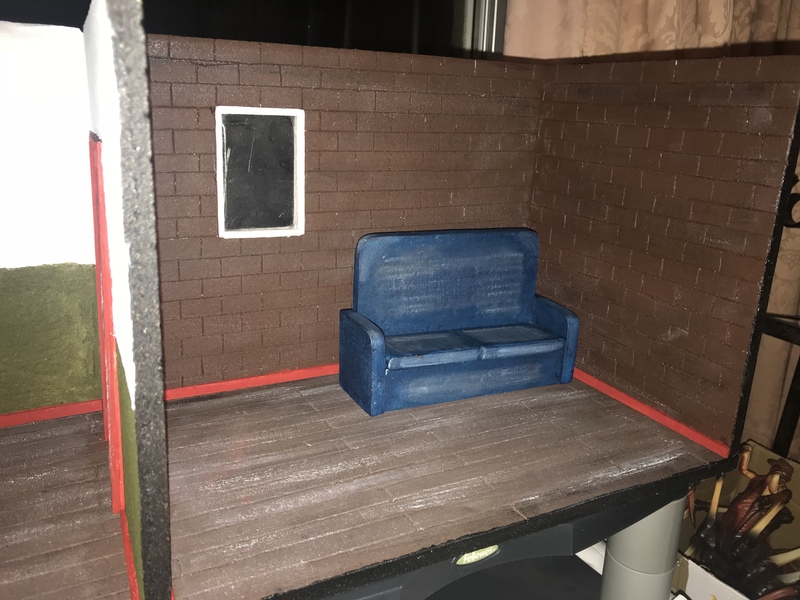 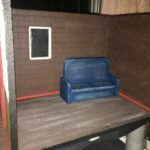 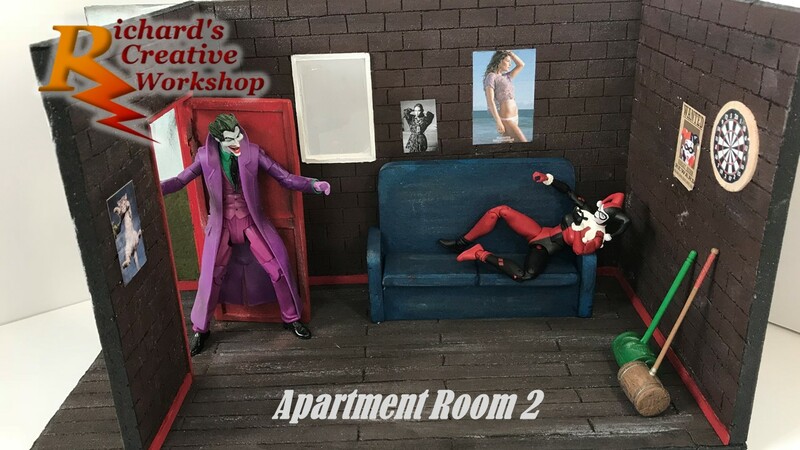 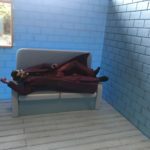 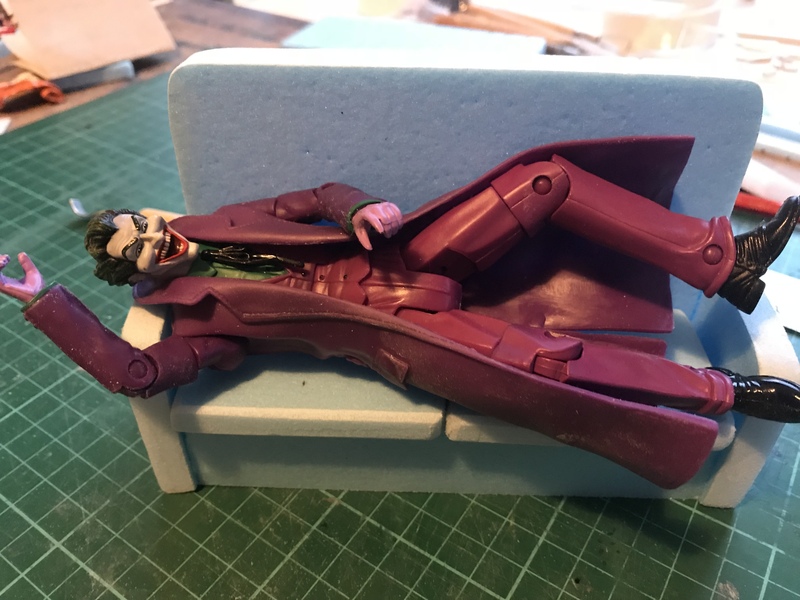 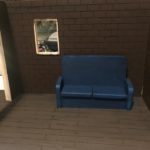 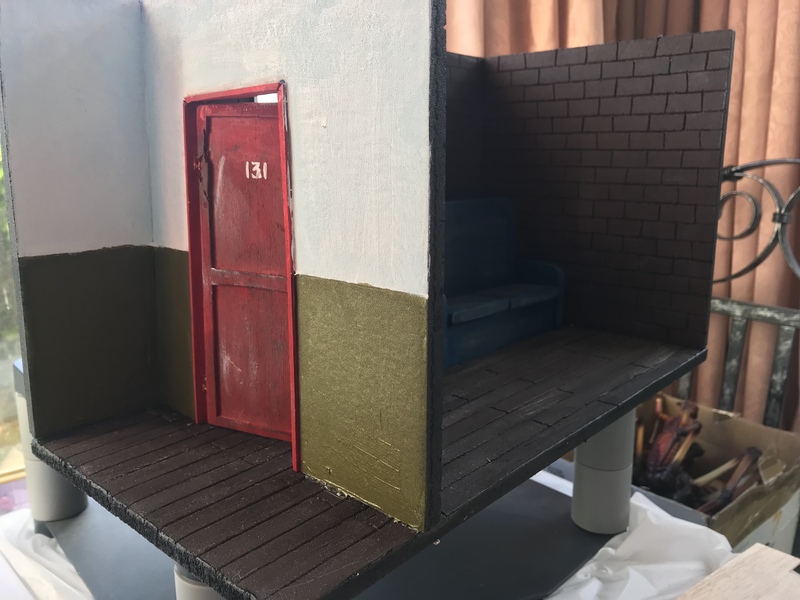 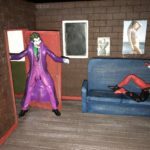 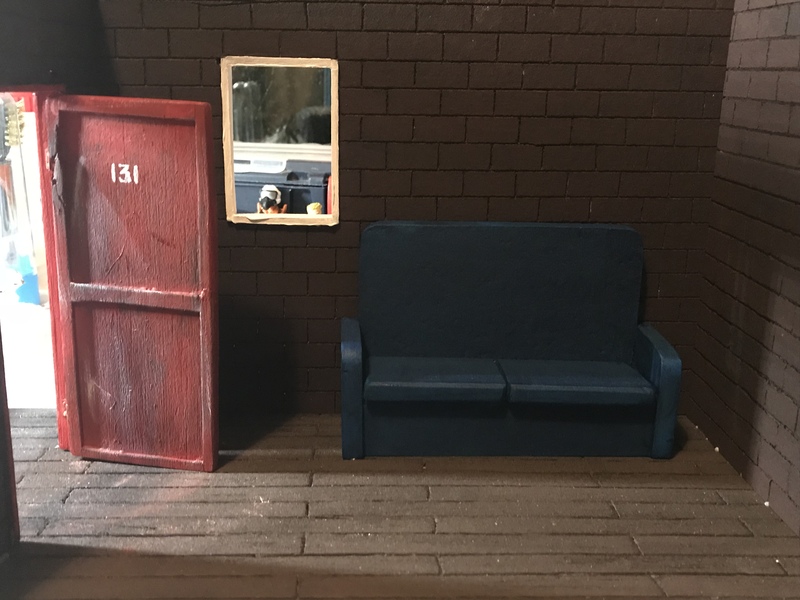 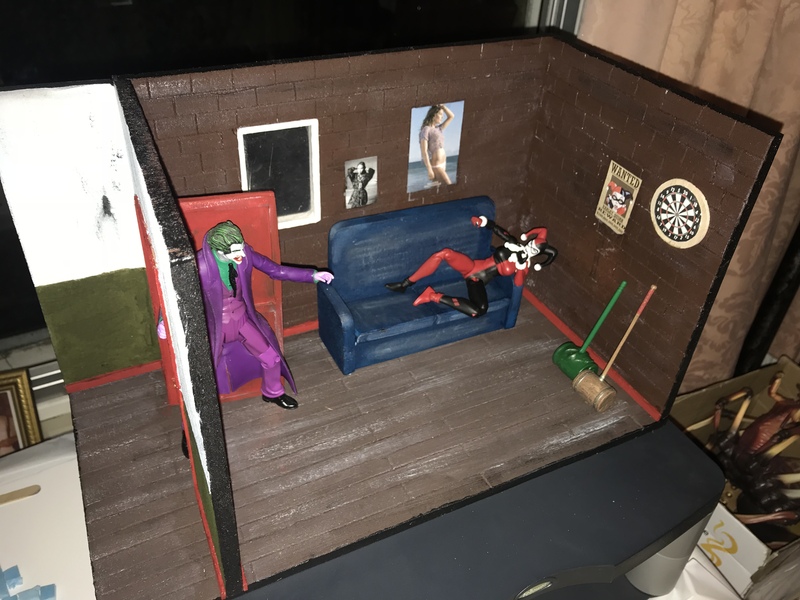 For my last room diorama I created a bookcase, for this one a couch had to be made and as you can see the Jokers taken to it. 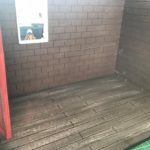 I etched into the floor floorboards and then taking a wire brush to it, has given the floor a wood effect. 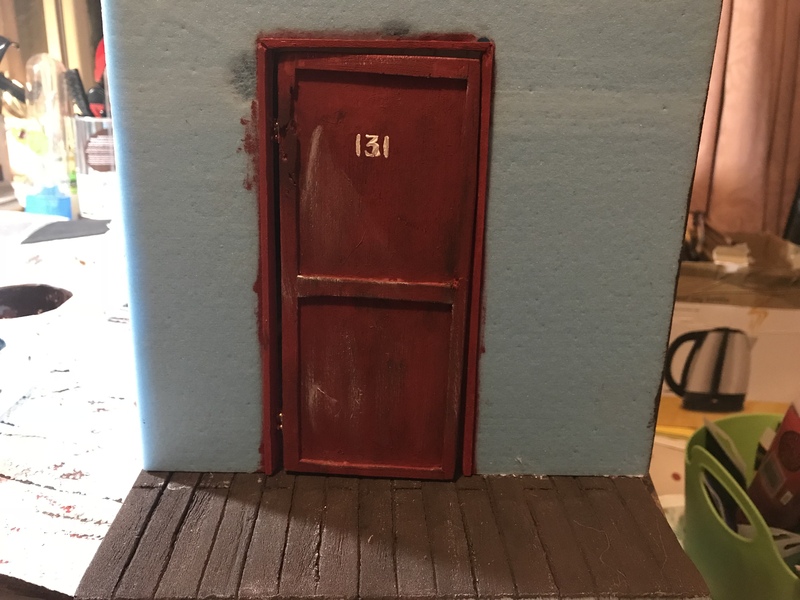 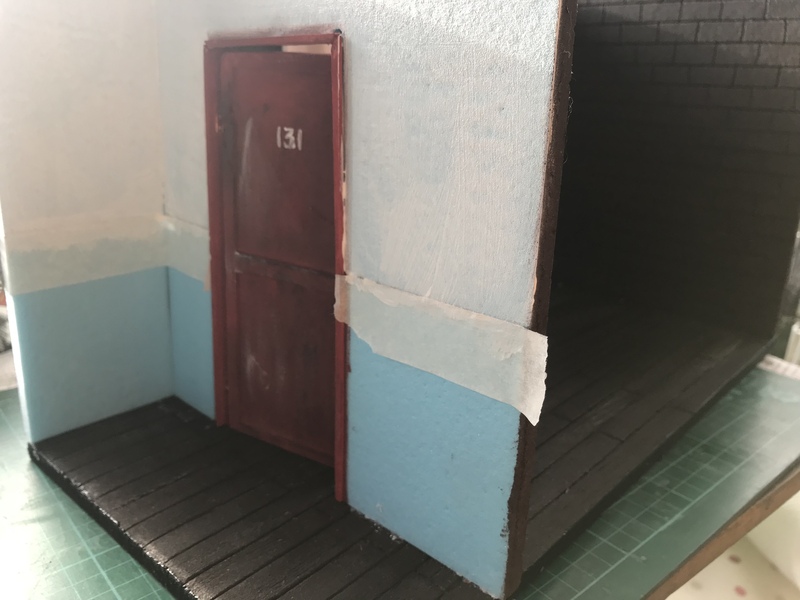 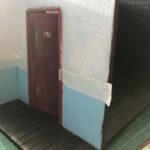 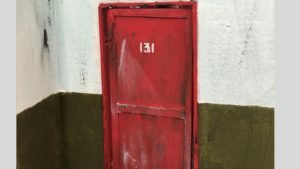 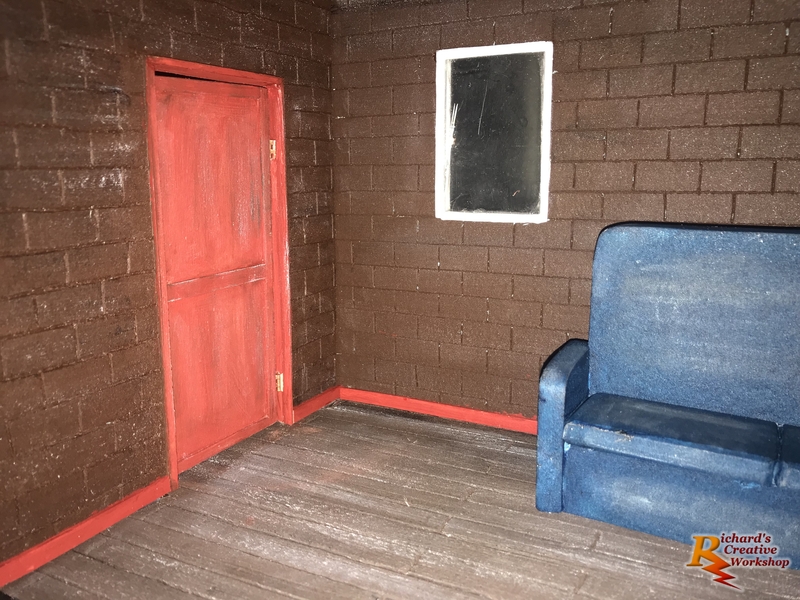 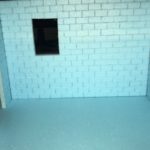 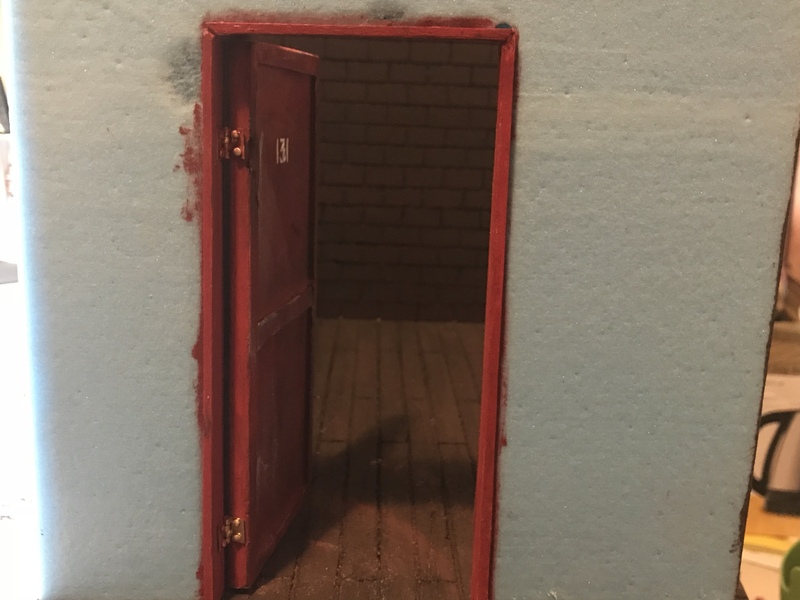 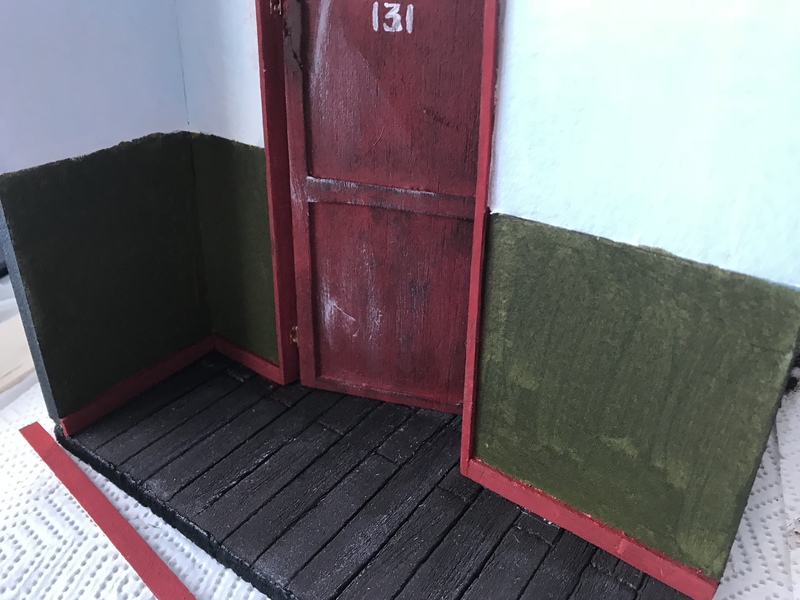 Quickly following on by applying the first coat of paint to the door, brick facing walls and floor. 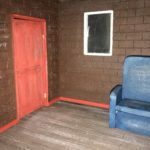 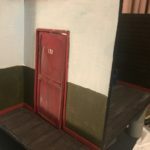 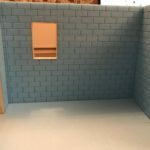 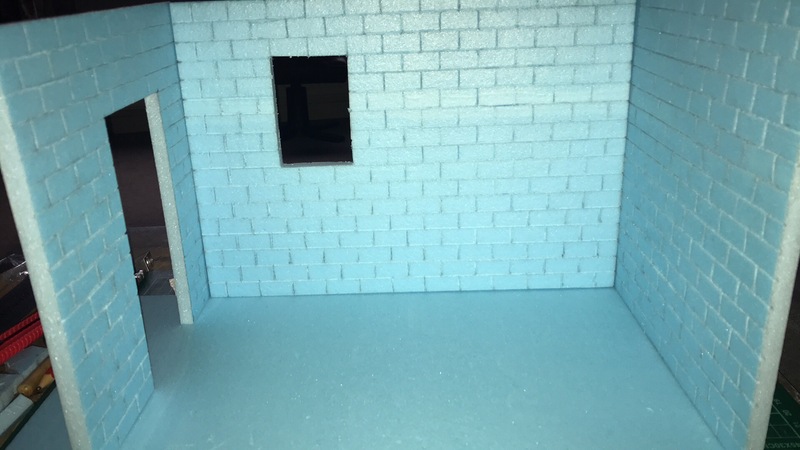 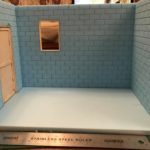 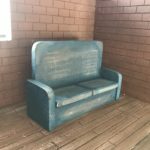 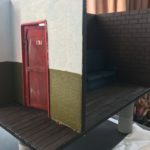 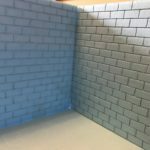 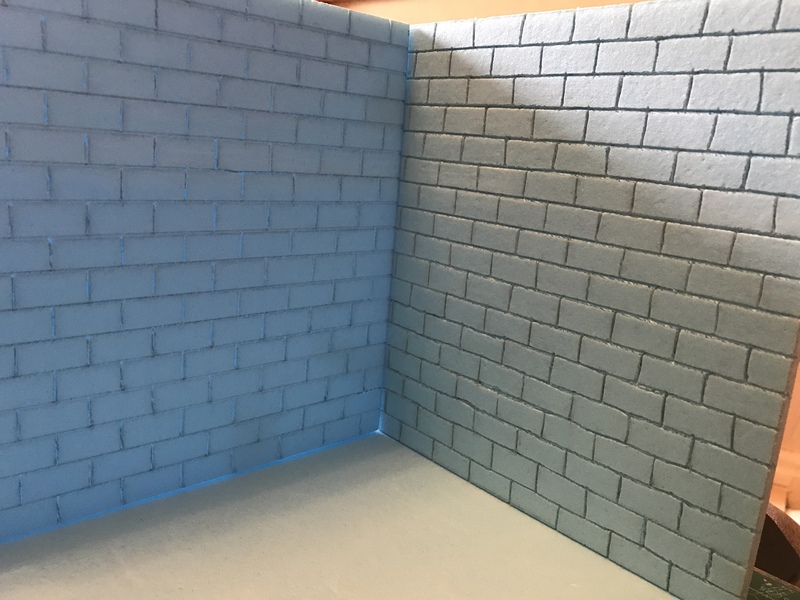 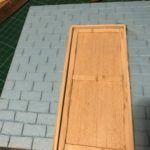 I added a wall outside the room, then painted the top half of the outside wall with white. 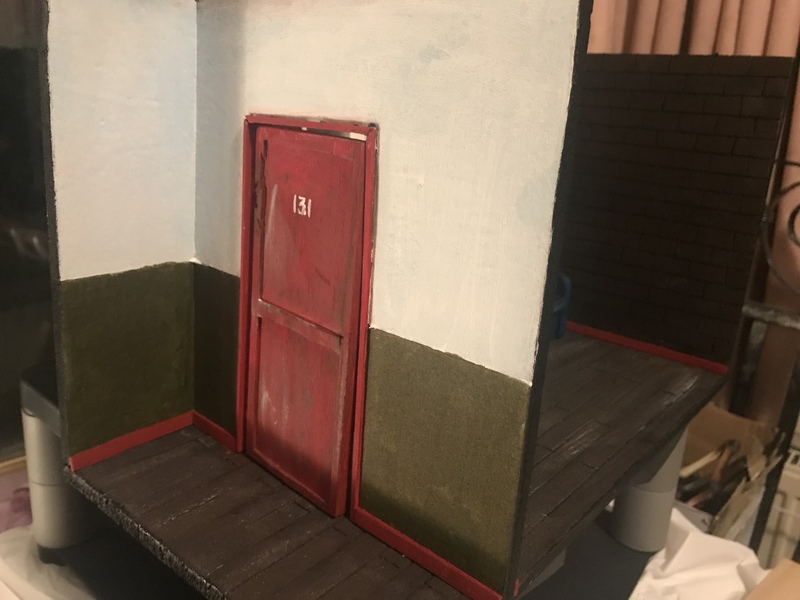 When this dried I made up a green shade and painted the lower half. 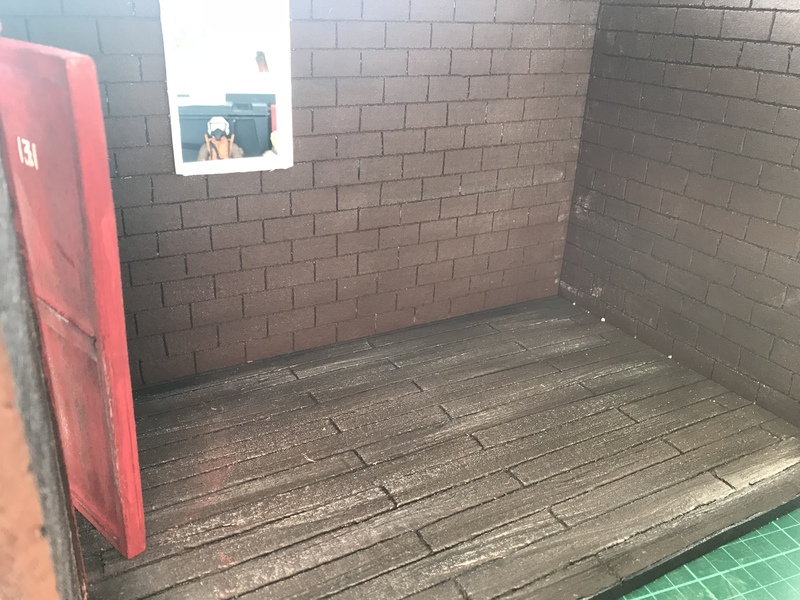 On the floor I dry brushed white and then a black which picked out the imperfections of the wood floor. 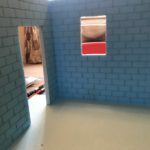 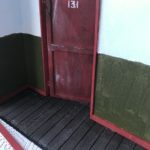 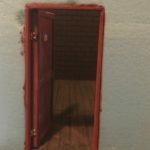 I’ve added skirting board to bottom of the walls, painting them red to match the door. 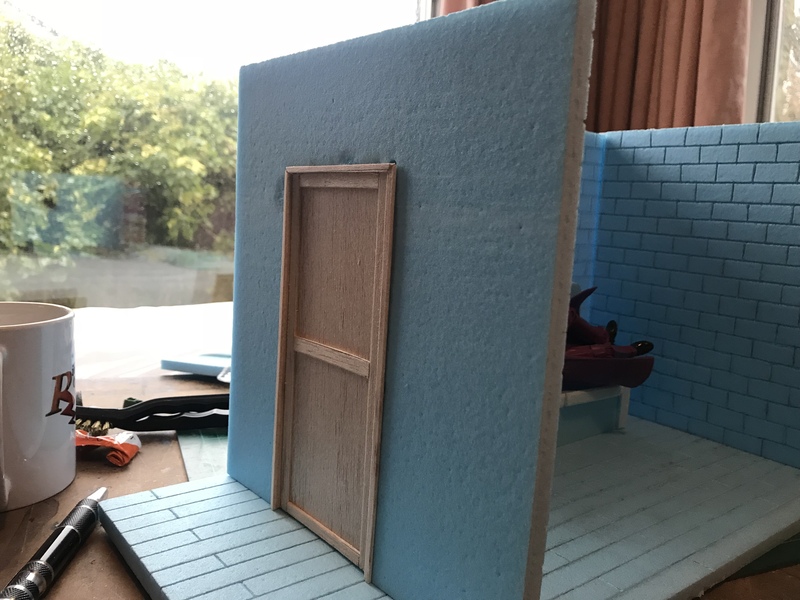 With all the paint dry, I have cut a piece of perspex and fixed it to the window. 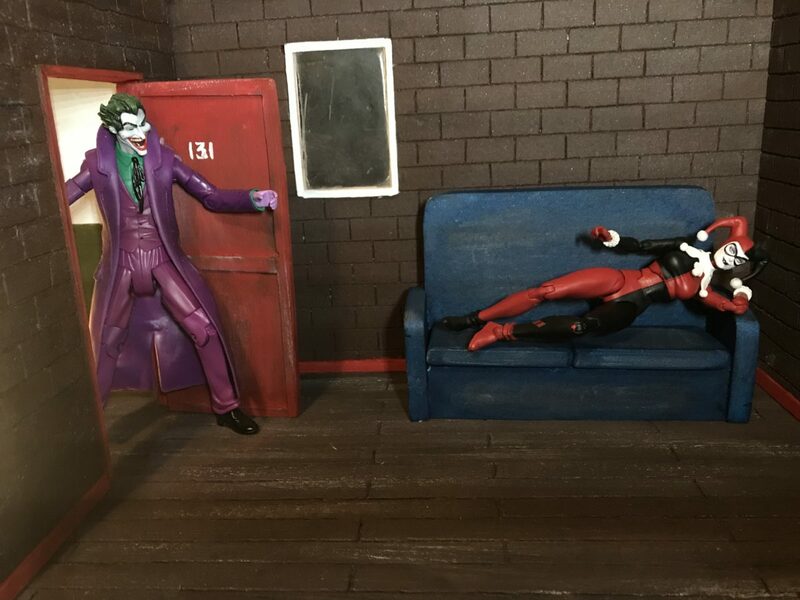 Added the final finishing touches to this diorama.